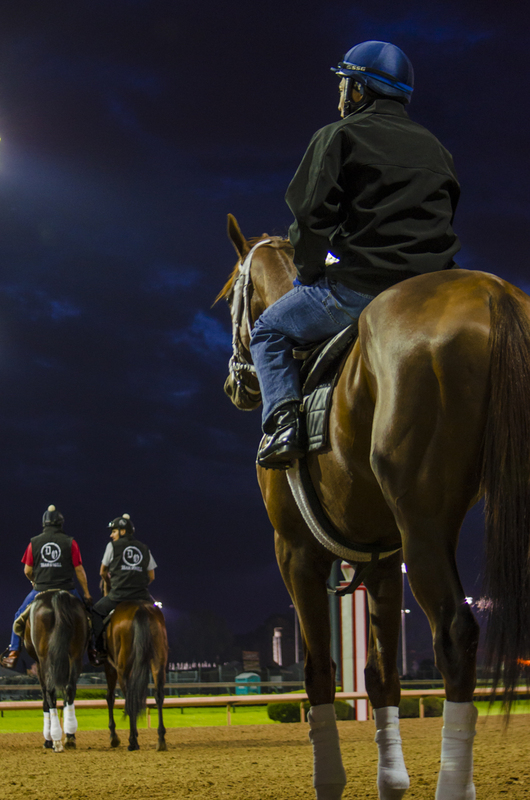 Tough shooting conditions before dawn on an overcast morning at Churchill Downs. A mix of tungsten light, and daylight (or lack thereof) are more than Nikon can handle. With a little cropping, this image turned out to be a nice composition.